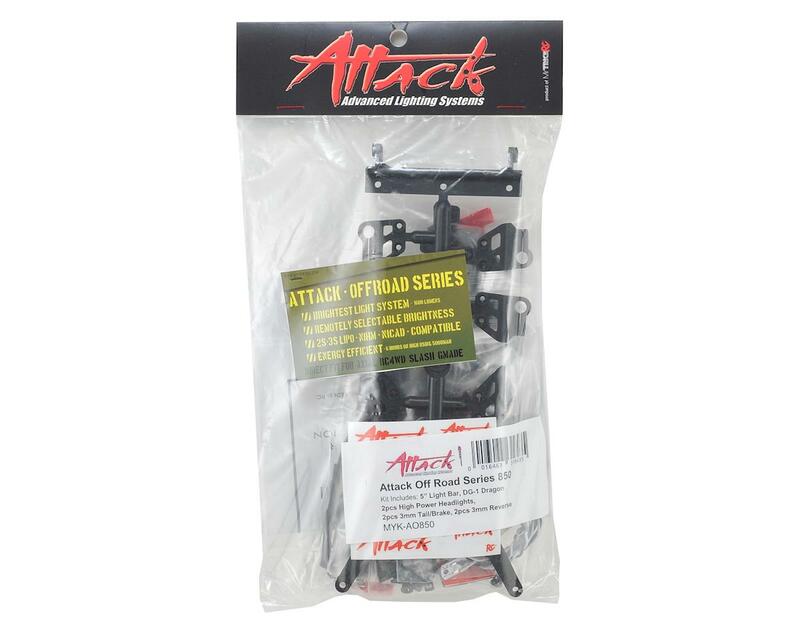 The MyTrickRC Attack Off Road 850 Series is a complete off road package. 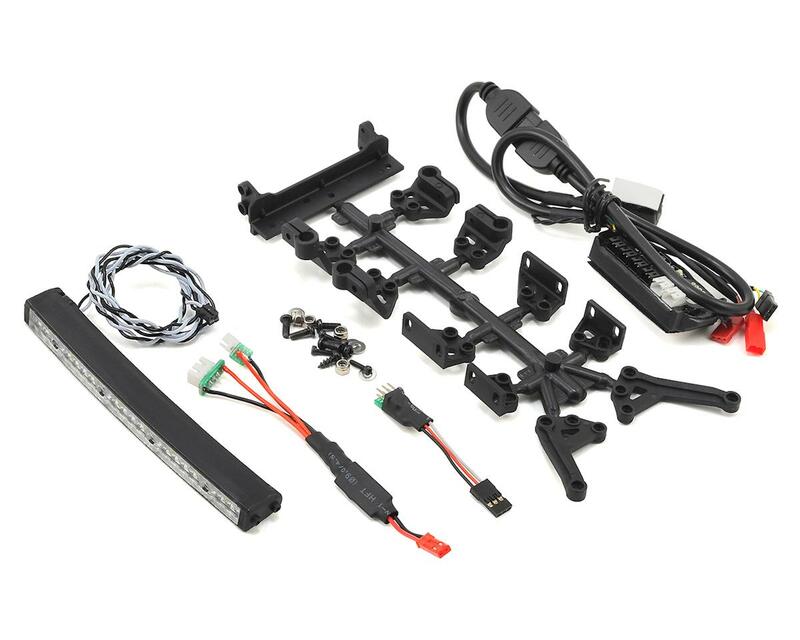 This high power 3S ready kit includes a waterproof 5" light bar, headlights, red and yellow 3mm LEDs, all controlled from the 6 port DG-1 Dragon controller. 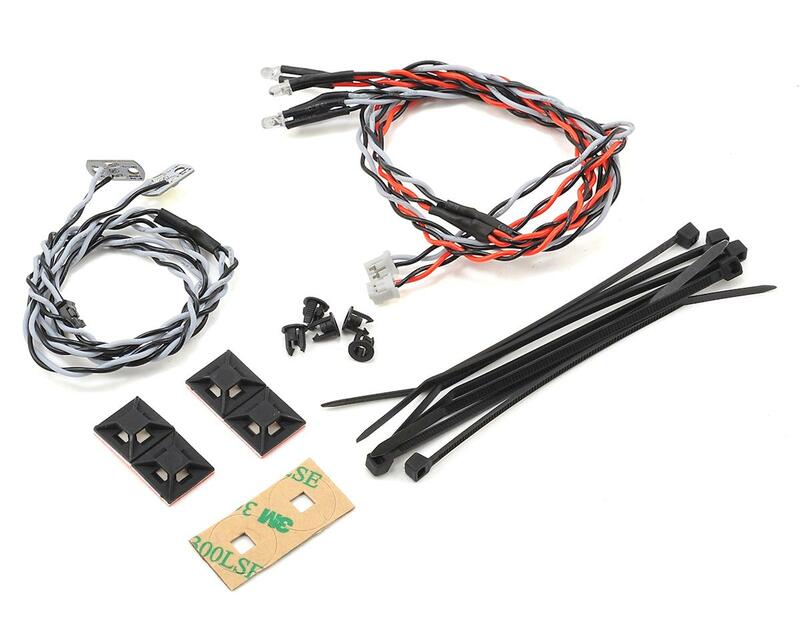 Plus, if you have an open switch on your transmitter, the system can be plugged into an open receiver port and controlled directly from the transmitter!